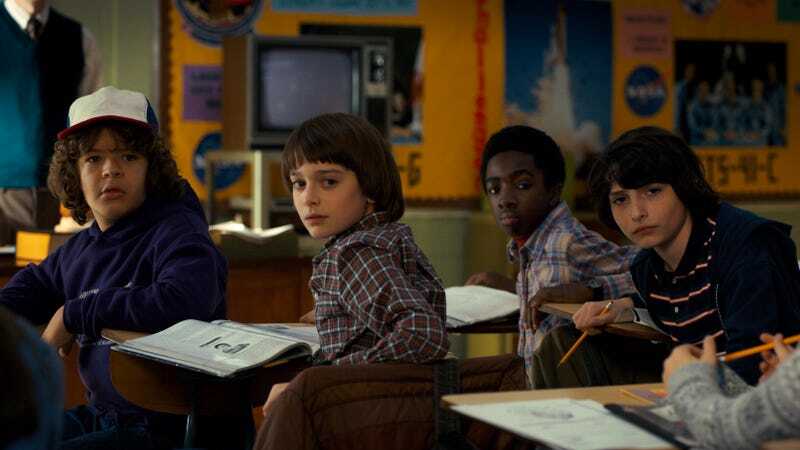 Netflix’s Stranger Things took the world by storm with its canny and effective use of 1980s nostalgia and a story that was more binge-worthy than anyone expected. That story will continue in season two, but according to series creators Matt and Ross Duffer, the series was almost going to be something more like an anthology. In a new interview with Wired, the Duffer brothers explained how, much earlier in the show’s development process, they’d toyed with the idea of crafting Stranger Things as an anthology series akin to American Horror Story. But as more and more shows like Fargo and American Crime Story adopted that style, the Duffers pivoted. That’s how we conceived of it. It was right in that period where people in television were really into the idea... and then were less interested. So we adapted. I think if we were a year earlier... Now I’m really happy that it isn’t, because we found these kids that clicked. It would become a problem if we just continued to treat it like a TV show and just kept going for like seven seasons or something, but if we get out after four seasons or something, then I don’t think it’s going to feel that way. Even the title Stranger Things sounds like the sort of project that could have deconstructed various ’80s scifi and monster movies from season to season, but there’s no telling how long the public’s goodwill (and patience) would’ve held up for something like that. Meanwhile, the world is counting down the minutes until season two drops on Netflix October 27.